Are Swimmer’s Ear Infections Contagious? Unlike otitis media (middle ear infection), swimmer’s ear is not a serious disease. This disease is popular in both adults and children. It can make you feel uncomfortable because of itching and pain. Swimmer’s ear can cause complications if not treated early. Then, inflammation can spread to the middle ear and cause serious damage to the hearing. Although this disease is not dangerous, early treatment is needed. 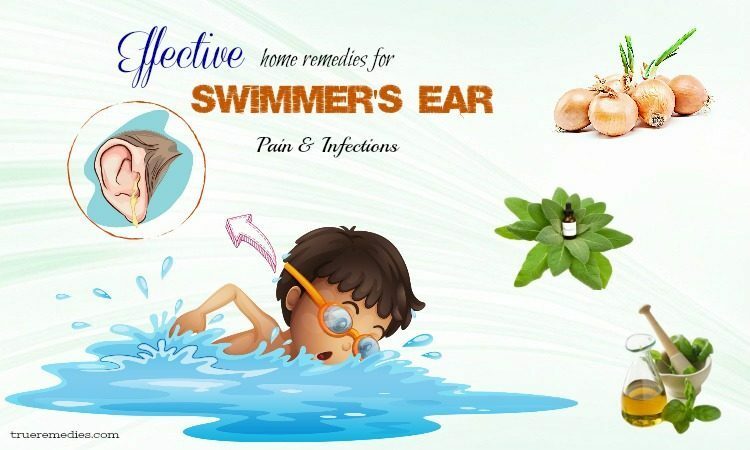 Fortunately, you can completely apply the home remedies for swimmer’s ear pain and infections that we introduce in this article to drain out the water, soothe pain and kill bacteria naturally. But first, you need to determine exactly what your condition is with the following information. As we all know, human ears are usually divided into three distinct compartments: the inner ear, the middle ear, and the outer ear. Each compartment has its own function and importance. Scientists have proven that the inner ear is the place to store vital organs and nerves for hearing. The middle ear contains bone, which connects the eardrum to the inner ear. The outer ear is simply the earlobe and a short hole leading to the eardrum. The outer ear has two functions: receiving and amplifying sound through the ear system; and protecting the eardrum   . Swimmer’s ear is the outer ear infection. According to medical specialists, this disease is also known as otitis externa. This is an infection in the thin layer of the skin in the ear canal. The ear canal is the part from the eardrum to the outer part of the ear (the hole on the outside of your ear). The disease is usually caused by the effects of bacteria or fungus. It is usually divided into two categories: acute swimmer’s ear (lasts less than 3 months) and chronic swimmer’s ear (lasts 3 months or more). Outer ear infections are most common in children from 7 to 12 years old. It also often affects adults, especially those who live in cold and wet conditions, who often swim and who often use hearing protection. Swimmer’s ear usually occurs a few days after you go swimming. Swimmer’s ear can make patients feel uncomfortable because of itching and pain. It can cause complications, such as deafness, if not treated early. This complication is quite common in patients with swimmer’s ear. Initially, the patient may have an inflammation or a perforation of the eardrum, but later tinnitus and hearing loss can occur. This proves that the disease has moved to the chronic stage. As a result, the patient’s hearing and brain function are severely affected. For these reasons, the treatment of the disease should be done as soon as possible. What Are Common Causes Of Swimmer’s Ear? This is the most common cause of swimmer’s ear disease. Swimming in unclean water can lead to inflammation of swimmer’s ear. Often, Pseudomonas and other bacteria living in water can cause ear infections. In rare cases, infections can be caused by certain types of fungus. When the water is full in the ear canal, the earlobe becomes permeable, causing the skin in the ear canal to become wet. This creates a favorable environment for bacteria to develop. Besides, the outer ear can also be acidic. As a result, factors that change the acid environment can reduce the resistance of the outer ear canal, making it susceptible to the pathogenic bacteria. People who use hard and unhygienic things to clean their ears many times will damage the skin of the ear canal, causing the skin to scratch. For example, frequent cleaning of the ears with swabs can also cause outer ear infections. Repeated rubbing can damage the skin of the ear canal, while earwax and dirt are trapped inside the ear canal. Long-term accumulation of dirt facilitates the growth of bacteria and fungi. In addition, wearing a head phone or a hearing aid that is not clean may also cause this condition. In addition, people who are allergic to ear irritants, such as hair spray and hair dye, can also get a swimmer’s ear if they use these chemicals. People with chronic conditions such as diabetes, psoriasis, eczema, allergies, and dermatitis are also susceptible to swimmer’s ear. Otitis media also cause swimmer’s ear. This problem causes the fluid to drain into the outer ear canal, causing irritation in the ear canal. This condition damages the ear canal, causing it to be damaged and inflamed. Deficiency resistance is one of the causes of swimmer’s ear. Resistance is very important, it can fight against pathogens such as viruses and bacteria. If resistance is reduced, the body is susceptible to infection, especially when the weather or the environment is bad, the body will not be able to resist the bacteria that cause the swimmer’s ear. The child’s ear canal is narrow. This makes water easily retained in the ear, increasing the risk of infection. What Are Common Symptoms Of Swimmer’s Ear? Swimmer’s ear due to fungal infection: the ear canal are black (aspergillus niger), yellow (aspcrgillus flavux) or blue (aspergillus fumigatus). You may experience other symptoms and signs not mentioned. If you have any questions about the signs of the disease, please consult your doctor or pharmacist. The majority of swimmer’s ear infections are not contagious, in essence. It is because they are an internal reaction to the bacteria buildup within the ears which could not spread among people . Nonetheless, if swimmer’s ear was the result of contaminated water, maybe other people swimming in that water are also at risk for suffering from an infection. Who Is At High Risk Of This Disease? Swimmer’s ear is quite popular among children and swimmers. In addition, people with diabetes, skin allergies and those with ears that do not produce enough earwax are more susceptible to ear infections. You can limit the chance of getting the disease by reducing the risk factors. Please consult your physician for more details about your case. You should contact your doctor if you have any signs or symptoms of swimmer’s ear. Call your doctor right away or go to the emergency room if you have severe pain or fever. The pathological condition may be different in many people. Talk to your doctor to determine the best method for diagnosis and treatment. So you have just learned the basics of swimmer’s ear. As we have stated, this disease can be treated very simply at home. 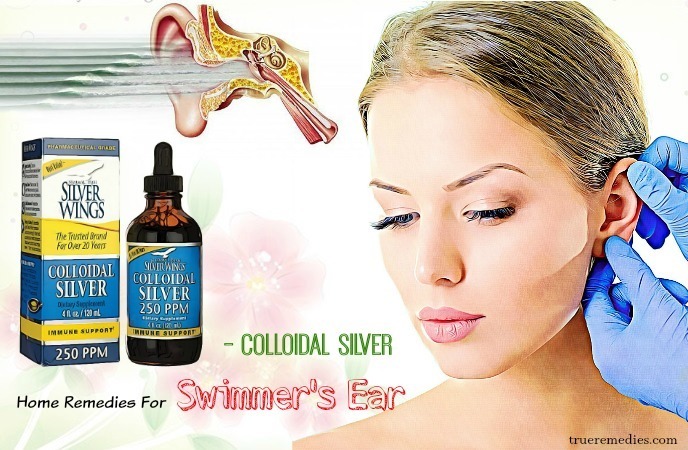 With the natural home remedies for swimmer’s ear that we introduce below, your condition will quickly be treated thoroughly. You will no longer have to worry about the serious consequences that it can cause. It is time to find out what the effective home remedies for swimmer’s ear pain are. Take a look at TrueRemedies.com! This is the first remedy in this list of home remedies for swimmer’s ear pain and infections. Water accumulation in the ear usually occurs after swimming or bathing, especially during the summer. This causes swimmer’s ear disease. Therefore, removing the water from the ear immediately after swimming or bathing is essential. Some common ways, such as using a cotton swab, cannot help you do this. Then, use alcohol and vinegar. In addition to removing water from the ear, this remedy also eliminates germs and prevents ear infections. Acids in this mixture will work to break up the ear wax that may contain water in the ear canal, while the alcohol quickly dries out and evaporates. Acid vinegar slows down the growth of fungi, as both Candida and Aspergillus grow better in alkaline environments. Alcohol has an antiseptic effect on the ear canal. Alcohol also helps the water in the ear to evaporate faster. However, note that if you have a perforation of the eardrum, do not apply this remedy. You can ask someone to help you drop this mixture into your ear. Be gentle, so you will not affect the eardrum. Surely you will quickly notice the effect of this remedy. Do not worry about whether alcohol or vinegar can cause ear pain. Alcohol and vinegar at a 1: 1 ratio are completely benign. This method can also be used to remove earwax. Another way to get water out of the ears with alcohol is to use ear drops (a nonprescription medicine).Ear drops are available at any pharmacy and usually contain alcohol – a substance that helps to evaporate water quickly. All you need to do is drop a few drops into your ear and tilt your head to dry the ears. Just like with the homemade solution above, you can ask someone to help drop the medicine into your ears. Among home remedies for swimmer’s ear pain, using a dryer is one of the most effective. You may suspect that the dryer can remove the water in your ear, but this has proven to be effective for many people. You only need to place the dryer at the lowest heat or even in cooler mode. Let the dryer at least 30 cm away from the head. Then let the dryer blow into your ear until you feel your ear is completely dry. Note that do not let the dryer get too hot or too close to the ear to prevent you from burning. Also, you can let the dryer blow through the ear rather than blowing into the ear. Warm and dry air will make the water evaporate quickly. Hydrogen peroxide possesses antibacterial property that can help dry out the fluid and pus within the ear, thereby eradicating infections. Dry your ear canal by using a hair dryer or drying drops to warrant that no moisture is left inside your ear. Among home remedies for swimmer’s ear pain, using onion sounds too good to be true, but it works. Onion is really advantageous to the human health. The juice of onions has elements making it a powerful disinfectant. It reduces inflammation while the anti-microbial property helps to soothe infections . Therefore, using onions will give you a quick relief in a short period of time. Colloidal silver has antimicrobial properties. This herb has small particles of silver that is suspended in the liquid, which act as antifungal, anti-viral agent. Colloidal silver, in fact, does not kill off the bacteria like antibiotics, but suffocates them by simply adhering to the cell walls and then inhibits their production of enzyme. This suspension is very beneficial because it can cure a large number of diseases such as hay fever, cholera, ear, mouth and eye infections . However, you should not use colloidal silver in large quantities because it may damage the essential bacteria found in the ear canal. When it comes to home remedies for swimmer’s ear, this suggestion is little-known. In reality, mango leaves have antibiotic effects, so this power makes it a good treatment for swimmer’s ear. Holy basil is a great swimmer’s ear home treatment thanks to its antibiotic properties, which help in fighting off ear infections of many kinds. Furthermore, it gives relief from the pain as well as discharge accompanied by swimmer’s ear. Having antibacterial properties, oregano oil can reduce the swelling, pain and inflammation accompanied by swimmer’s ear. Therefore, oregano oil is worth mentioning in this list of home remedies for swimmer’s ear. 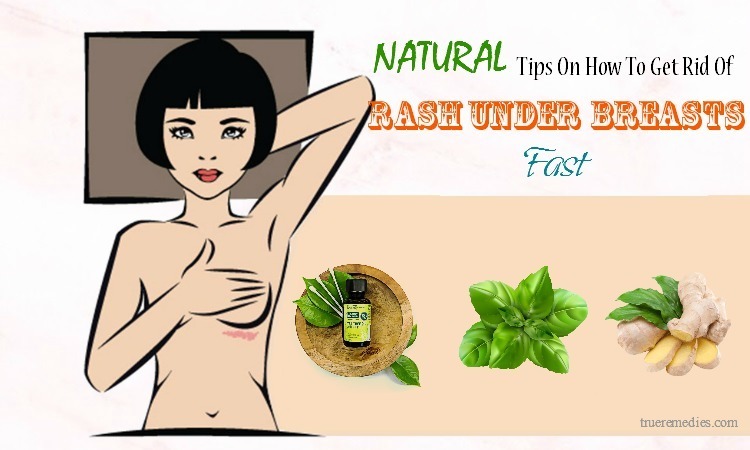 Avoid using oregano oil in case you are taking blood thinners. Castor oil is well-known for its antimicrobial properties and the ability to combat harmful bacteria or fungi living in the ear canal. Also, castor oil can help dissolve the buildup of earwax. The castor oil’s warmth also soothes your ear canal naturally. The oil of mullein has anti-inflammatory and anti-bacterial properties; therefore, it is another good solution for swimmer’s ear. Mullein oil can decrease superoxide radicals which are responsible for the inflammation of your ear. Tea tree oil is a versatile essential oil with multiple uses. Acting as a mild anti-inflammatory and antiseptic, tea tree oil can help relieve pain associated with swimmer’s ear . In essence, lemon balm has a high level of antibacterial and antiviral properties that can help to remove any type of ear infection . To make use of lemon balm for swimmer’s ear, you can apply it to your affected ear twice per day. This is another must-try home treatment in this list of home remedies for swimmer’s ear. You can use your hands to create a “vacuum cleaner” in your ears. This remedy is very simple. You only need to squeeze the ear into the palm, then use the palms to pat gently until the water starts to flow out. This remedy is applied when you feel your ear is not clogged with too much water. Do not do this at the same time with the other ear, as water can flow back into the ear canal. This will create a vacuum cleaner that removes water from the ear to your hand. In addition, you can tilt your ears down, put a finger into your ear and create a vacuum force by gently pressing and pulling quickly. Stagnant water will flow out of your ear very quickly. Note that this is not the preferred way as it can scratch and cause ear infections. So how to improve it? If using the palm of your hand is not effective and you want to use your fingers, make sure your fingers are clean and your fingernails are cut short. Also, when apply this remedy, you can massage the ear clockwise (or counterclockwise) when the ear is blocked by water. This helps moisturize the earwax and help the water evaporate faster. This is especially useful if the water in your ear affects your ability to hear. 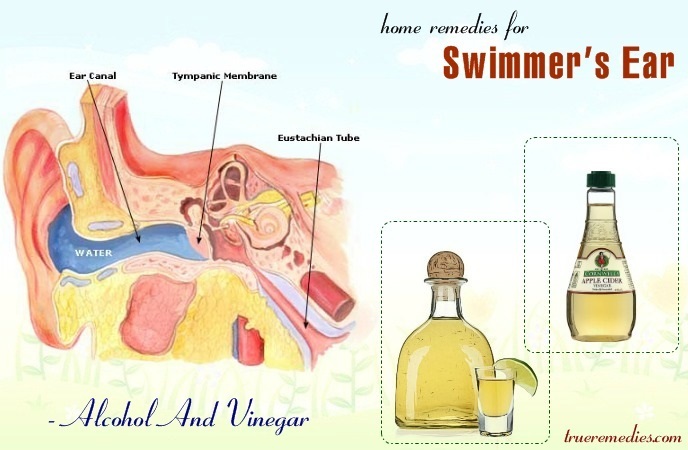 This remedy is one of instant and simple home remedies for swimmer’s ear. Gravity can naturally dry the ear. Lie down on one side of your ear to get the best effect. Keep that posture for at least a few minutes. You can watch TV or find other ways to relax if needed. If after bathing in the evening, your ears are clogged with water, remember to put this ear down when you go to bed. This will help the water flow out of the ear while you sleep. The next treatment in this list of home remedies for swimmer’s ear is chewing and yawning. Chew continuously as if you are eating something so that the jaw bone around the ear keeps moving. Tilt your head to the normal ear, then quickly tilt your head to the other side. This will cause the water to quickly flow out of the ear. You can also try chewing gum to see if you can get rid of stagnant water. Water may be trapped at the ear canal –a part of the inner ear. Chewing movements can help release water there. You can also try chewing and tilting your head to the affected ear for better results. After a few minutes, all the water will flow out of the ear. Sometimes you can break the “bubble” of water just by yawning. Any movement that affects the water in the ear can also help reduce pressure and help water flows out easily. If you feel the volume of water in your ear changes, then this method is effective. Like chewing gum, yawning will also help to clear the ear canal. You can take Ibuprofen or acetaminophen (over-the-counter pain relievers) if the pain caused by the swimmer’s ear does not resolve itself or if other symptoms do not appear. If your baby has a mild swimmer’s ear, these medications can also help reduce your baby’s fever and make him or her more comfortable. Note that aspirin should never be given to children under the age of 18 because this drug is linked to Reye’s syndrome, which can lead to brain damage and liver problems. Besides, take medication to improve the health of children when they take these pain relievers. Use as the directions on the medicine box or ask your pediatrician. Note that children under 6 months of age should not take ibuprofen. This sounds strange when it comes to home remedies for swimmer’s ear, but it works. Warm gauze will help reduce the pain caused by swimmer’s ear. You can use warm gauze or a warm and moist towel. You can apply this remedy 15-20 minutes each time. 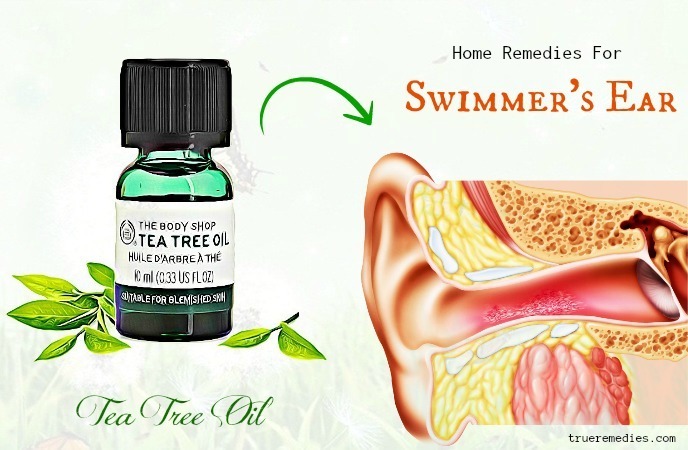 Whenever you suffer from swimmer’s ear pain, you can apply this remedy. It can help you to relieve pain quickly. This is really a safe and fast way. This is one of the little-known home remedies for swimmer’s ear. You can try Valsalva tricks if you have no pain. The Valsalva tricks can be used to open the eardrum and to lighten the feeling of “clogging” that can occur when you have a swimmer’s ear.Note that you only apply this trick when the ear is not hurt. Do not blow too hard as this can damage the eardrum. You will hear a small “bang” in the ear. Now you will feel much better. This trick will make the water quickly flow out of the ear. Garlic works to eradicate pathogenic bacteria and strengthen the body’s resistance. Garlic also contains substances that help reduce swelling and inflammation, and healing wounds. Garlic is considered as a natural antibiotic. Garlic oil has many glucogenic lice, aliin, and phytonoxit that help to antiseptic, anti-inflammatory. Almost all the significant health benefits of garlic come from the dense concentration of allicin. Allicin is an organic sulfur compound known for its prevention and treatment of diseases caused by bacteria, viruses and fungi. Therefore, the use of garlic to treat swimmer’s ear is recommended. Take this remedy three times a day for several days until the disease is completely healed. Using only one or two garlic cloves daily will be good for your health. Besides using garlic to wash ears, you can eat garlic daily by adding fresh garlic or garlic powder to soup, meat, vegetables, salad, or even eating raw garlic to increase the body’s resistance. This helps the body to fight the swimmer’s ear. 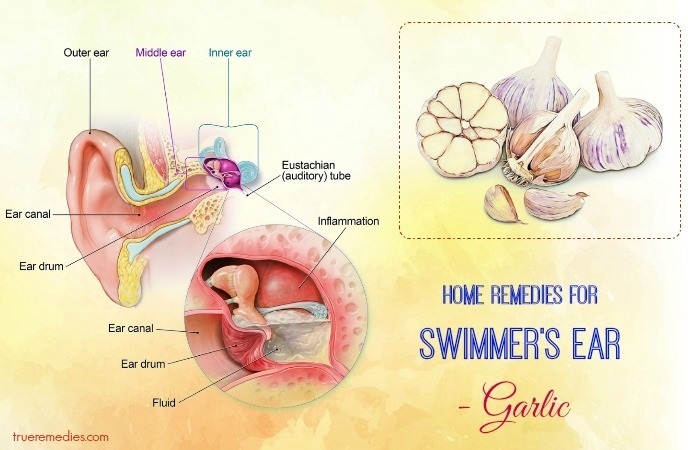 This is considered one of the best natural home remedies for swimmer’s ear. This is reckoned one of the best home remedies for swimmer’s ear. Olive oil is an oil obtained from the olive tree (Olea europaea, the Oleaceae family) – a traditional plant of the Mediterranean. It is often used in cooking, cosmetics, pharmaceuticals, and soaps, and is available as a fuel for traditional oil lamps. You can clean your ears with olive oil. Substances found in olive oil help relieve itching and earache caused by swimmer’s ear. Olive oil also forms a protective film for the ears, which helps fight bacteria. Olive oil is rich in vitamins, minerals and natural fatty acids. You can apply this method to your babies as olive oil is very benign. Use olive oil to wash the affected ear 1-2 times a day for several days continuously to achieve the best effect. You can also do this method 2-3 times a day for the best results. Make sure you do it at least 1 week, even if the symptoms of the swimmer’s ear go away. The next one in this of home remedies for swimmer’s ear is using clotrimazole. You can use clotrimazole to treat fungal infections in the ear – one of the causes of swimmer’s ear. Clotrimazole solution (1%) is the most commonly used antifungal medicine that doctors often prescribe to treat swimmer’s ear due to fungal infection. This drug can remove both Candida and Aspergillus. Clotrimazole inhibits enzymes that convert ergosterol. Ergosterol is essential for the maintenance of cell membranes. Fungal growth will be inhibited by ergosterol deficiency. You should note the side effects of clotrimazole. These side effects include irritation, burns or discomfort. Make sure you store the medicine out of the reach of children. Store it in a cool and dry place and don not let it exposure to direct sunlight and high temperatures. If clotrimazole does not work, your doctor may prescribe other antifungal medications such as miconazole. Processed, packaged foods: Those foods might have added chemical, dyes, high content of sodium, and other synthetic ingredients that you may be sensitive to. Thus, you should avoid these foods and go for “whole”, real foods. Potential food allergens: There are a number of allergens that may worse your ear infections, including gluten, conventional dairy, peanuts and shrimps, which may increase the risk of inflammation. Added sugar: This decreases your immune functioning and increases inflammation. Conventional dairy products: the dairy products of pasteurized cows could be mucus-producing and make your ear infections, nasal or throat passageways worse. High-antioxidant foods: Fruits and vegetables, particularly those rich in antioxidants such as vitamin C, keep the immunity strong. As a result, it speeds up recovery and increases resistance to the potential bacterial infections. Turmeric, ginger, garlic as well as other herbs/spices: They have natural anti-inflammatory, anti-microbial and antibacterial properties. Water: Just plain water could help in clearing mucus from the ears and respiratory passageways. Wild-caught fish: This food has omega 3-fatty acids which can decrease inflammation that worsens your infections. Some other sources of “lean, clean protein” which may improve immune system are grass-fed beef, pasture-raised poultry, and cage-free eggs. If you notice any signs of a swimmer’s ear in your newborn, you should immediately take your child to the doctor. The immune system of infants at this age is still underdeveloped. Children have a much higher risk of infection and need immediate antibiotic treatment. Children with a swimmer’s ear are at high risk for a painful condition called baro trauma. This pain occurs when the ear attempts to adjust to match the change in pressure. You should feed your baby with a milk bottle during the time the plane takes off and lands to help regulate the pressure in the ear. When you have a swimmer’s ear, your body needs rest to recover. Make sure you do not overwork when experiencing the symptoms of the swimmer’s ear, especially fever. Especially when having a fever because of swimmer’s ear, you need to drink more water to help the body recover. Studies have shown that a natural herbal remedy called Oticon Otic can help in relieving pain caused by swimmer’s ear. Consult your doctor before using this therapy. Never use alternative medicines for your baby without consulting a pediatrician. Most doctors advise to “wait and see” for 48 hours, but if the pain increases during that time, call your doctor. 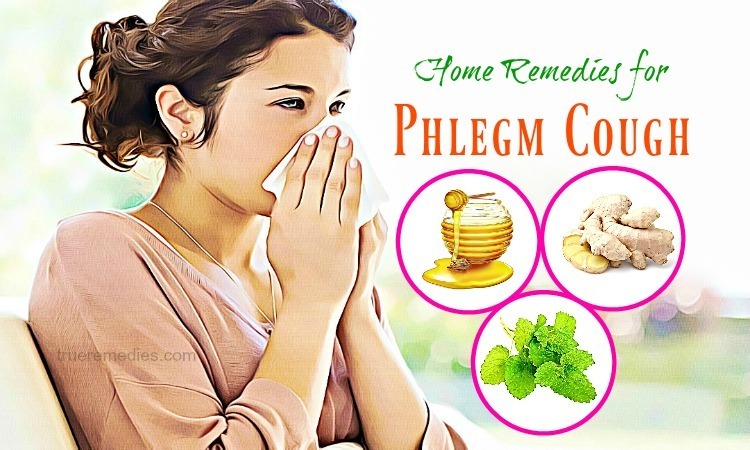 Also avoid phlegm producing foods such as sugar, rye, cheese, milk, lentils, banana, yogurt, cabbage, corn, potatoes, and so on. Besides, avoid taking caffeinated beverages and alcohol. You can assume that a cotton swab will help get water, earwax or other foreign material from the ear, but it may not. Swabs can push water or earwax deep into the ear. A cotton swab can also scratch the ear. 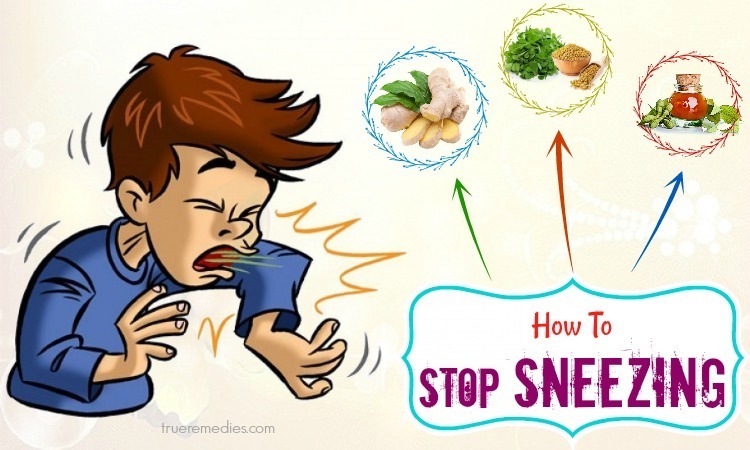 This will help prevent blocked ears and nose plus with upper respiratory tract infections. Remember to clean and dry the ears after having a shower or swimming or bathing in order to prevent infections. Do not swim in ponds, pools or lakes in which the water is not clean. Using ear plugs or cotton buds when your ears are wet can also push water or earwax deeply into the ear. If your ears are wet, avoid using these items. You should also avoid using headphones until the disease is completely treated. Here are best home remedies for swimmer’s ear pain that we would like to introduce in this article. Choose some of them and alternate them in your treating to see how effective they are. In addition to these remedies, you should also ensure that your ears are clean and not too moist. The moist ears provoke bacteria to breed and spread easily. What is more important is that you should never take your ear pain lightly. If these methods do not give any positive results in a few days, then you need to consult a specialist instantly. If you have any contributing ideas about our article of “Top 23 Effective Home Remedies For Swimmer’s Ear Pain” introduced in Home Remedies Category, do not hesitate to drop your words below this post. We will answer as soon as we could.